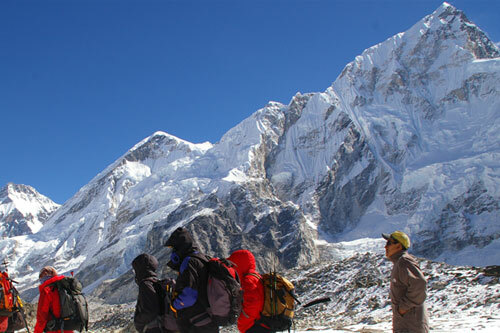 Everest base camp trekking is the popular trekking trail in Everest Region. 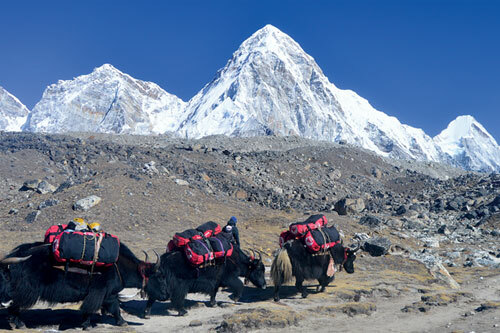 Everest base camp trekking is the famous trekking routes in the world and is a lifetime opportunity to see some of the most breathtaking scenery. It is primarily famous for its scenic views of the highest peak of the earth, the Mt. Everest (8,848m) and other peaks lying around Everest region. Mount Everest is the highest peaks in the world. It is popularly known as Sagarmatha and meaning the goddess mother of the earth, has always been the greatest attraction among the tourists. 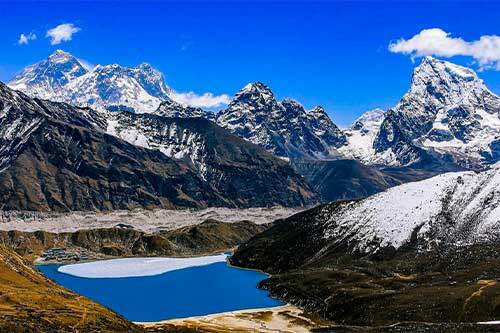 Besides, the scenic views, the trekking to Everest Base Camp is famous for unique landscapes of the Solukhumbu, the heartland of the Sherpa. Sir Edmund Hillary and Tenzing Norgay had made successful ascend of this the highest peak of the world from this same route in 1953. Therefore, this trekking trail has been much demanded in recent days. While trekking in the region, the trekkers are enchanted with the views of unbelievable peaks, Buddhist monasteries and friendly Sherpa ethnic villages.The highest mountain in the world continues to lure adventurers as ever. The hair-raising flight lands you at the airstrip at Lukla from where you begin walking to the famous Sherpa village of Namche Bazaar and continues up to Tengboche monastery with the mesmerizing peak of Ama Dablam hovering in the sky. 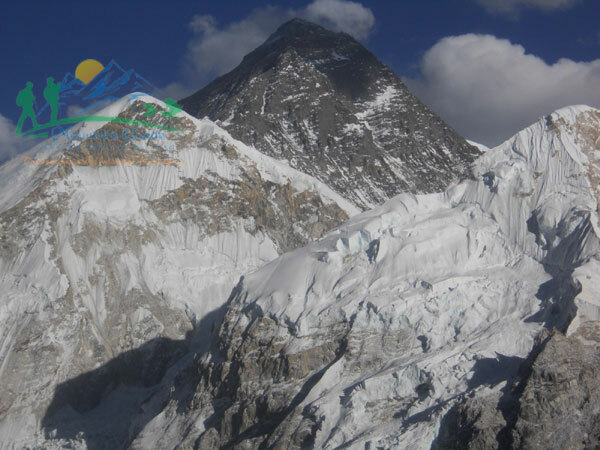 Then it's over the glaciers to the foot of Everest for the view of a lifetime.This rout is no doubt to make everyone's dream come true, as it offers magnificent views of snow-capped mountains including the highest peaks of the world Mt. Everest, and other mountains above 8,000 m, such as Mt. Lhotse, Mt. Makalu, Mt. 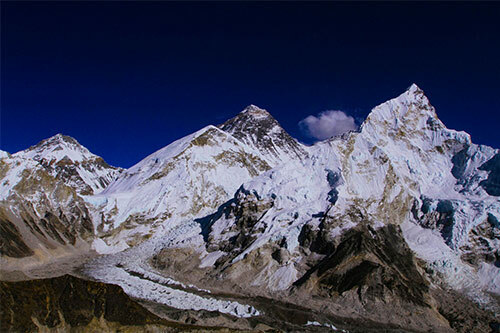 Cho-Oyu, and other neighboring mountains such as Amadablam, Themserku, Nuptse among others. 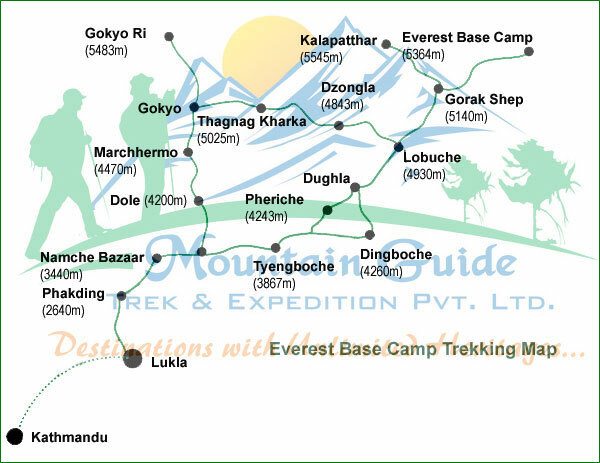 There are many routes for reaching Everest base camp trekking and many places to rest and enjoy meal along the way. The trekking to Everest base camp begins from Lukla, where we can reach with having direct flight from Kathmandu. You can have a tour to the Tengboche Monastery, the monastery situated at the highest place in the world and at least make attempt on the Khumbu glacier, the longest glacier in the world and have panoramic views of sunrise and sunset from Kalapatthar and finally we reach at base camp and making tour in the area, we return back to Kathmandu from same route. Day 12: Trek Pheriche to Tengboche (3860m) 5-6 hrs. Day 13: Trek Tengboche to Namche (3440m) 5-6 hrs. Day 14: Trek Namche to Lukla, 6-7 hrs. Day 15: Fly back to Kathmandu (1337m) 30 – min. Day 17: Farewell Friend (Final departure to your onward destination). 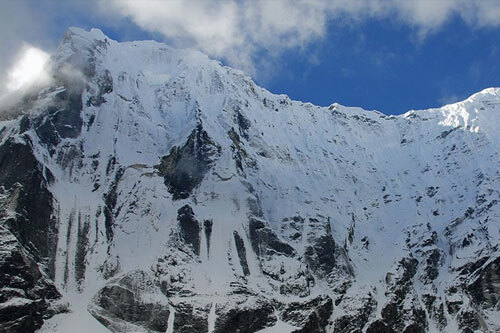 Day 03: Fly Kathmandu to Lukla and Trek to Phakding (2610m) 3-4 hrs. Day 04: Trek Phakding to Namche Bazaar (3440m) 5-6 hrs. We follow the Dudh Kosi, ascending through Himalayan pine and Doedar cedar forests, to the celebrated village of Namche Bazaar. The village of Namche is a historic trading post where Nepalese and Tibetan traders exchange salt, dried meat and textiles. Besides being a superb place to shop for traditional crafts, Namche remains the central trading post in the Khumbu, attracting Himalayan and lowland merchants. 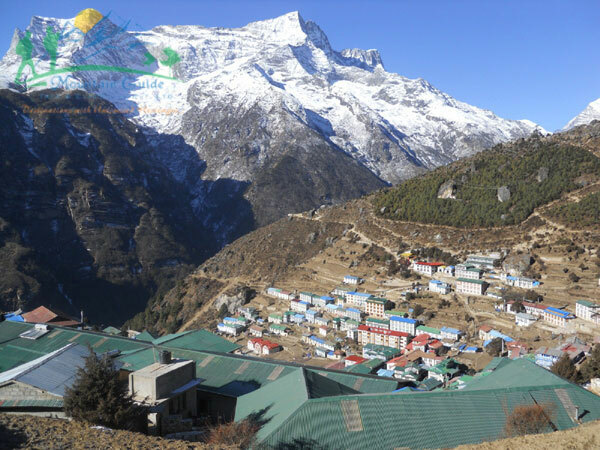 You will spend two days in Namche for acclimatization, visit local markets and spend time with your team. On the hike we capture our first glimpses of Everest and neighboring peaks. (Overnight at tea house on full board basis). Day 05: Acclimatization Namche to Khumjung Hiking and return back to Namche Bazaar. This day is reserved for acclimatization and a very slow descent into thin air. After breakfast you will start the ascent towards Khumjung. The trail ascends above Namche Bazar and passes through Syangboche (3720m) - this is where the local airport is located. 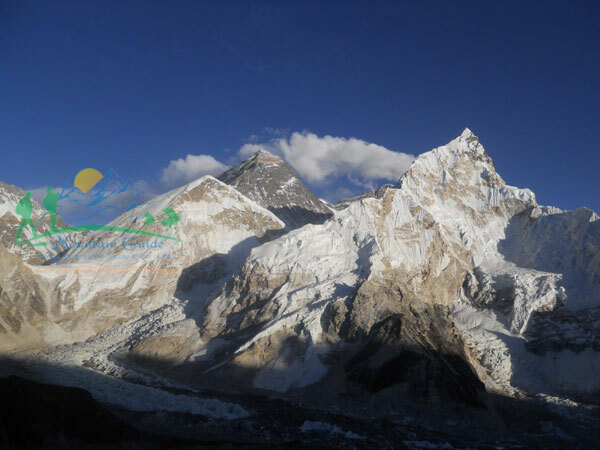 From a hill top above the airport, you will get your first views of Taboche Peak (6 367m), Lhotse (8 414m), Peak- 38 and Ama Dablam (6856m). On arrival at Khumjung (3 780m), you could visit the Hillary School before stopping for lunch at one of the tea houses the walk takes about 3 hours. After lunch you will continue ascending the foot path to Khunde (3 840m), here you could visit the local hospital before the 2 hour ascent back to Namche Bazar. This day is physically demanding at times and you should be prepared as the weather is very unpredictable. Namche Bazaar is known as the gateway of the Everest Region, visit the local museum where you can see the traditional custom of the Sherpa peoples. 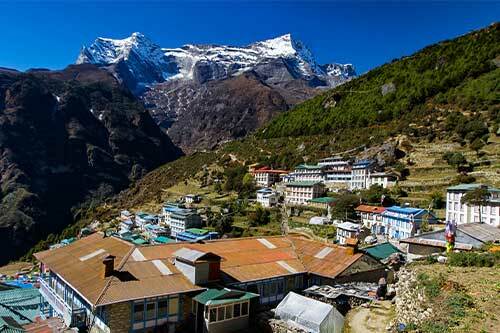 You will spend a second night in Namche. (Overnight at tea house on full board basis). Day 06: Trek Namche Bazaar to Tengboche (3860m) 5-6 hrs. Day 07: Trek Tengboche to Dingboche (4410m) 5-6 hrs. Day 08: Acclimatization day in Dingboche; hiking to Nagerjun (5100m), 4-5 hours. Day 09: Trek Dingboche to Lobuche (4910m) 5-6 hrs. Trek along a broad valley floor to Dughla, passing the Trekkers Aid Post at Pheriche (4240 m), staffed by western volunteer doctors and supported by the Himalayan Rescue Association which offers treatment and consultation to trekkers. Continue up the valley, gaining altitude. Come out of the valley to descend to the yak pastures of Lobuche (4910m). (Overnight at tea house on full board basis). Day 10: Trek Lobuche to Everest Base Camp (5400m) then back to Gorekshep (5181m) 6-7 hrs. Day 11: Hiking Gorekshep to Kalapattar (5545m) to Gorekshep to Pheriche (4210m) 6-7 hrs. Day 12: Trek Pheriche to Tengboche (3860m): 5-6 hrs. Day 13: Trek Tengboche to Namche Bazaar: (3440m): 5-6 hrs. Day 14: Trek Namche Bazaar to Lukla (2800m) 6-7 hrs. Day 15: Fly Lukla to Kathmandu - 30 min. Day 16: Leisure day in Kathmandu. Today is last day in Nepal for this trip; you are saying good bye to the mountains as journey in Nepal comes to an end today! There is nothing to do but trade emails with travel companions and organize the photos. If you have more time you can do some shopping or sightseeing. Approximately 3 hours before the scheduled flight a representative from Mountain Guide Treks will take you to the airport. (Useful Info: - Please note that often the Kathmandu - Lukla - Kathmandu flight gets delayed by a few hours or may even be canceled for one, two, or more days due to bad weather conditions. Such conditions may happen even in the best seasons. Therefore, in such cases, you must be prepared for long waits both at Kathmandu or Lukla airports, as this can happen either at the start or end of the trek or even both! We do our extreme to avoid such delays, and fix you on next flight. Still, we suggest you to be prepared for possible delays/cancellation, and if possible to come with some extra buffer days (1-2 days) at the end of the trip to accommodate such delays. We also organize Heli rescue in such conditions, if it's available and upon request by our clients. In case, the flight delay/cancellation happens at the start of trip and it goes so long that it disturbs your onward travel schedule, you are free to choose an alternative trip: such a trek in the Annapurna, Langtang, or any other regions. If you are not interested in the alternative trip and would rather wait for the trip, you are welcome to wait in Kathmandu for as many days as it takes to get a flight to Lukla). 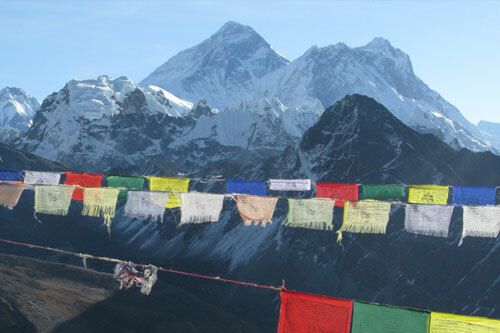 The following is a list of clothing and accessories that we recommend for Everest Base Camp Trekking Nepal. This is not intended to be a comprehensive clothing and equipment list; rather it is intended to act as a reminder of those items that we are feel necessary for your comfort and convenience. However we recognize that you may have your own personal preferences for clothing which may be equally as suitable.